Would you do the same thing? Now, here’s a story that will restore your faith in humanity – and make many people wonder if they would do the same thing. According to the Kansas Lottery, the clerks at a Salina gas station discovered a lost Mega Millions ticket. When they scanned it to see if they’d need to return it, they soon discovered that little slip of paper was worth a cool $1 million. Not only that, the ticket hadn’t been signed; that meant anybody could cash it in. The winner, who lives in Lincoln Co. and chose to remain anonymous, told lottery officials he was rushing to go watch the NCAA Tournament when they decided to stop in Salina for gas. “My brother went in to check my tickets. He apparently dropped the unsigned Mega Millions ticket, and then we left to go back home,” the winner explained. The Lottery said the clerk’s reaction upon finding the ticket: Call the store’s owner to see if they could return it. The store owner’s son went in to help find the winner, so they could give it back. “We had already been home for about an hour, and then went out and ran another errand. As we passed the store, the owner’s son pulled out behind us and flagged us down. He explained what happened and handed me the ticket, and I just couldn’t believe it!” the winner explained. You better believe the now-very relieved winner signed that ticket. He then went to the lottery offices in Topeka and cashed in his million dollar prize. 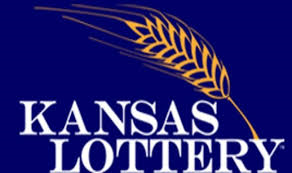 Lottery officials say, while it was clerks in Salina who found the ticket, was actually sold at the Mity Mart, at 1903 East Highway 18, in Lincoln. That store is going to receive a $1,000 bonus for selling the ticket.